Learn cardiovascular pathology online and get the most out of your study time! 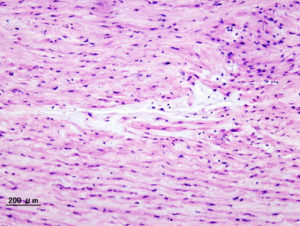 Lecturio’s integrated cardiovascular pathology course held by MD Carlo Raj will not only equip you with knowledge about the most important diseases related to the cardiovascular system,but also builds bridges to related medical sciences, providing you with the deepest understanding of all cardiovascular pathology topics. We are convinced that learning cardiovascular pathology has never been so inspirational, comprehensive and fun. Upon completion of this course you will be able to easily answer all pathology questions regarding cardiovascular diseases; a hugely important attribute, because cardiovascular pathology is one of the central topics covered in the USMLE Step 1 exam. Before taking this course, you should already have a strong foundation in the basic sciences such as anatomy, physiology, biochemistry, microbiology & immunology, and pharmacology. MD Carlo Raj will not only familiarize you with the concepts but, in doing so, will support you in building a long-term understanding of cardiovascular pathology. As a result, you will master the boards and become a better physician. Multifocal atrial tachycardia is a type of atrial arrhythmia characterized by rapid heart rate with at least 3 or more P wave morphologies. It is termed multifocal since the signals arise exclusively from atrial tissues instead of the sinus node. 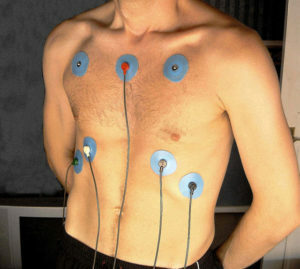 For an adult, normal heart rate ranges between 60 and 100 beats per minutes. 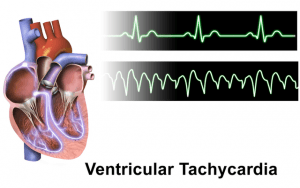 In multifocal atrial tachycardia, the heart rate range between 100 and 250 beats per minute. 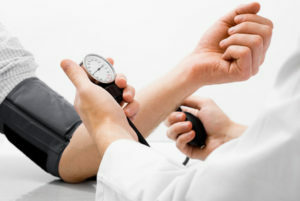 It is more common in people with serious cardiopulmonary diseases (heart-lungs). Wolff-Parkinson-White Syndrome (WPW) is a term referring to Louis Wolff who published an article in 1930 that describes 11 patients suffering from episodes of tachycardia with characteristic ECG findings (ECG pattern shows bundle branch block and shortened P-R interval). In 1943, anatomical accessory pathway of conducting tissue has been described that bypasses the atrioventricular (AV) conduction system. This article will describe definition, pathophysiology, clinical manifestations, diagnosis and treatment of Wolff-Parkinson-White Syndrome. 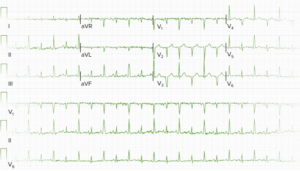 Atrial flutter is an irregular heart rhythm of the atria. 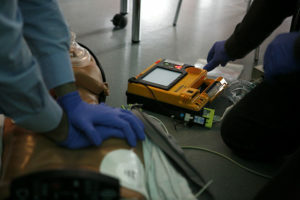 It is classified as a supraventricular tachycardia. 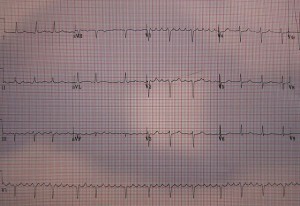 This rhythm is associated with heart disease and hypertension. Symptoms include palpitations. 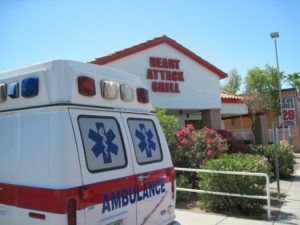 Complications include increased risk of stroke and congestive heart failure. 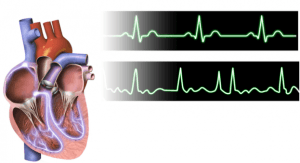 Diagnosis is made by observing sawtooth “flutter” P waves on EKG at a rate of 240–400 contractions per minute. Treatment through ablation is usually curative, though medication can also play a role. Constrictive pericarditis is characterized by a thickened and scarred pericardial sac that lays around the heart and prevents proper diastolic filling. Diagnosis is very difficult because this condition mimics many other diseases. 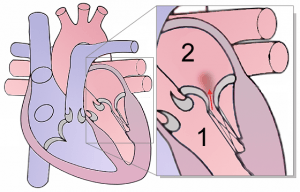 Pericarditis is an inflammation of the pericardium resulting from infection, autoimmune disease, radiation, surgery or myocardial infarction, or after cardiac surgery. It is manifested as fever, pleuritic chest pain that increases with lying supine, and audible pericardial rub by auscultation. Diagnosis is made by clinical suspicion with, supported by diffuse ST elevation in ECG and sometimes pericardial effusion by echocardiography. It is usually a self-limiting condition within 2-6 weeks, therefore management is usually conservative. 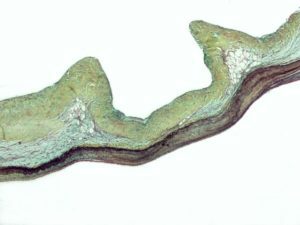 Constrictive pericarditis is a well-known complication that is characterized by thickening and rigidity of the pericardium. Atrial fibrillation is the most common form of supraventricular arrhythmia. 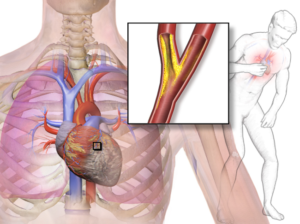 In its chronic form, it poses an increased risk of thromboembolic events, especially for people in advanced age. As this disease entails a reduced quality of life and increased mortality for the affected individuals, it is of the utmost importance that a physician knows the different forms of this widespread disease very well as to be able to make the opportune treatment decisions. The following article will provide you with an overview of the underlying mechanisms of disease and different treatment approaches. Pericardial effusion is the condition of having an abnormal amount of fluid in the pericardial cavity of the heart. The pericardium does not expand. If enough fluid accumulates it will restrict cardiac filling and lead to acute heart failure, this is called cardiac tamponade. 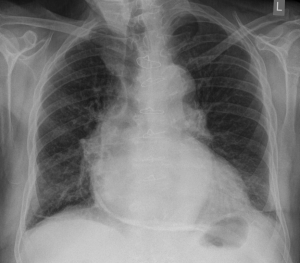 Small effusions are usually asymptomatic. Symptoms of a large effusion include Beck’s triad of distended neck veins, low blood pressure and muffled, distant heart sounds. 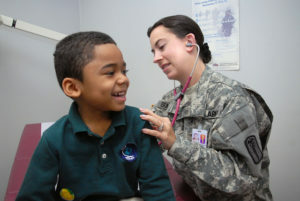 Larger effusions are treated by pericardiocentesis, carefully removing the fluid with a needle. Acquired valvular heart diseases may manifest as insufficiencies (i.e., the incomplete closure of the valve), as a stenosis (i.e., a narrowing of the valve), or as a combined valvular defect. In principle, all valves can be affected. 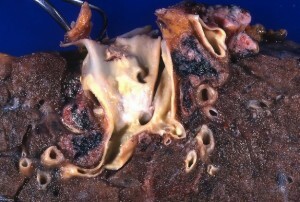 The aortic valve stenosis and the mitral regurgitation are particularly frequent. Acquired valvular heart diseases may manifest as insufficiencies (i.e. the incomplete closure of the valve), as a stenosis (i.e. 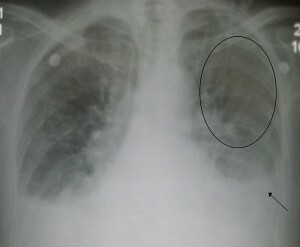 a narrowing of the valve), or as a combined valvular defect. In principle, all valves can be affected. The aortic valve stenosis and the mitral regurgitation are particularly frequent. Acquired valvular heart diseases may manifest as insufficiencies (i.e. 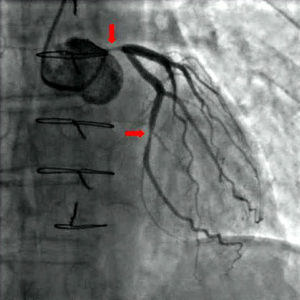 incomplete closure of the valve), as a stenosis (i.e. a narrowing of the valve), or as a combined valvular defect. In principle, all valves can be affected. The aortic valve stenosis and the mitral regurgitation are particularly frequent. Heart insufficiency as a disease of old age constitutes a serious clinical picture as its complications often result in death. 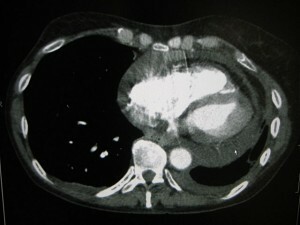 Cardiogenic pulmonary edema, as a consequence of heart insufficiency, as well as non-cardiogenic pulmonary edema, are diseases indicating immediate measures as they are accompanied by rapid respiratory insufficiency. 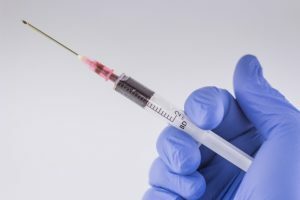 This article will provide you with everything you need to know about the epidemiology, etiology, classifications, diagnostics and therapy for cardiac insufficiency and pulmonary edema. I am a retired Ph.D. chemist with limited training in the life sciences. I have been studying the life sciences diligently during the last eight years and recently included Lecturio as part of my curriculum. 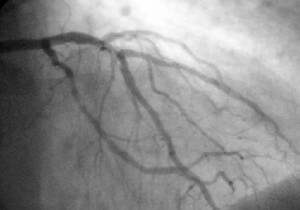 The valvular heart disease section provides an excellent introduction to this subject. To my delight, I find that I am able to answer most of the questions correctly after listening to the lectures, even before reading the articles (which I do diligently, usually more than once). He speaks very, very fast and uncoherent. However what he is saying is gold so you get alot of information in a short amount of time. Just make sure you note like a madman and you will be fine. Great explanation of the topics, and sometimes funny, I don't get bored with this presentation. OMG wonderfully explained .He is one among few who gives us confidence that we would remember things till exam. One of the best teachers i have come across. He makes the lecture so interesting and the voice modulation prevents us from getting distracted......Awesome teacher. Dr. Raj is the best! Best pathology lectures ever. Dr. Raj is amazing. He makes pathology easy and enjoyable. Great content, the useful facts are well explained! Dr Raj is a great professor. No mental structure when talking. Please, remove these videos. Hate the "are you gettin' it" ..."welcome to ...."... "do you remember". Looks like a monologue. Really, I think that I wasted my money. I'll try watching another videos. But I can't deal with this guy. No mental-order at all when talkink. Please, be more conceptual. Too much blah-blah. Too fast-talking. No explanation at all, just shooting questions to the sky. love every bit of the lecture. It is really hard to follow. I can't understand what the different curves mean. It is never clear enough. I wish the lecturer had been more clear about what he was talking about. Dr Raj has an extraordinary command of medical knowledge and a fantastic way of explaining it. I love this course, which great for both medical students and practicing physicians who want to rebuild forgotten foundations. efficient any very effective.highly recommend . efficient any very effective.its giving me easy memorizing the relevant facts. highly recommend . Really good information and well explained with good sense of humor.It's not fair when people say bad thing about Dr Raj this man is so passionate about what is doing. Great teacher!! you seem to skip over Ebsteins anomaly and it kinda seems like you're saying it's a side effect of lithium. it isn't. it's a CONGENITAL anomaly that presents in neonates whose mother took lithium during pregnancy. Dr. Raj has a teaching style that makes the content just stick. I sometimes hear him in my head when doing a question, and actually said to a patient when explaining "welcome to Sjögren's Syndrome" once. He is very good but for his accent. He made the topic very simple, Although the questions at the end does not reflect exam pattern of questions. Lecturer jumps around, wastes time with unnecessary guff, doesn't explain the graph well at all. Incredibly frustrating. Came together in the end. Watching the entire series on CHF was incredibly helpful. Do not let the first lecture overwhelm you, I came to really enjoy his lectures. Lecturer can't seem to deliver a coherent sentence, jumps around in his delivery. Did not make clear that in emergency situation reduction in BP should be no more than 25%. Too fast and too many abbreviations!! uses too many abbreviations without explanation - for example, what the heck is EDV?? One of the greatest lecturers I even had the pleasure of listening to. I love listening to this guy. If more stars are available to rate you professor Raj, and this course please let me know, so I can add some more, it is incredibly easy for me walking through the USMLE book by prior listening to your very clarifying lessons. Amazing explanations each lecture! Thank you so much, Dr. Raj! Professor thank you very much for such a great curse, I agree that it would be much better with cardiac sounds in real time during the explanation so our ears get accustomed to them, also the explanation should be included during the questioning section at the end of the video just like in previous lectures. Muy buena clase, es muy conciso y para nada aburrido, las actualizaciones deberian ser del medico. This doctor is always demeaning. He clearly demonstrates why instructors should learn to say phrases like "Some students" or "often times students will confuse..." It is significantly less demeaning than "You". Also, he ASSUMES we are thinking wrong "Why in the world would you? ", "Don't do that!" , or "Let it go!" I never had it, so why would I let it go??? He needs to eliminate all these comments about how he thinks we are thinking and just communicate the information. It is hard to concentrate on the pathophysiology when he is constantly projecting negativity. Learning is supposed to be a positive experience, not a negative one. explica demasiado rapido y no señala las graficas para poder entender de que habla. this is an amazing way of putting things together, thank you so much for the nice presentation. Thanks for refreshing hypertension ! Good for refreshing ,anybody can review it once because , it quick and easy explanation . Required much attention for preclinical subjects,not Carlo raj,i mean anatomy,physiology,biochemistry. its helpful and his presentation is quite good,but why physiology, Biochemistry, preclinical subjects are not up to the mark.please reset a new subscription option,like preclinical, clinical etc.otherwise i have to say bye. I think is a great review because it goes right to the point. Short videos witch make it really easy to sit down and just listen to Dr. Raj. Will recommend to all my medical friends. 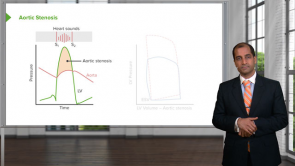 The easiest way to learn fast and efficiently your arrhythmias with Dr Raj! I learn so fast and easy all the most know arrhythmias with Dr Raj. He is fun, knows how to teach, blue print materials, great pics and graphs. 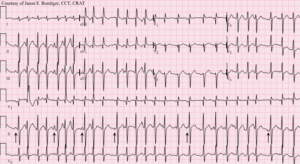 I never learned that well my dysrrhythmias before my lectures with Dr Raj. Bravo Dr Raj! My grades are improving big time. I wish I had you as a teacher before. Than you so much Lecturio and Dr Raj! Very GOOD, fun and easy to understand and retain for a test! This is the first time that I have a lecture with Dr Raj. Definitely recommend! He is very methodic and fun which makes it easy to understand and retain for your test. Also I love the quizzes in between the lectures that help you to reinforce the material so well. Excellent job Dr Raj! Thank you so much. Dr. Raj is the best! He is funny and he makes arrythmias ridiculously simple. I recommend his lectures for everyone! Lecture well explained and illustrated...makes a big difference in being able to follow and understand...so appreciated! Thank you Dr. Raj! I have a much better understanding of valvular pathologies. Difficult to follow because of not using pointers(instead of fingers) during explanation of the graphs.There are no numbers of pressure and volume values.I hope you will pay more attention for the graphs and marking or demonstration using some kind of pointing like pointer or change in color during explanation the relevant part of the graph. Excellent explanation with good connection between norma and pathophysiology.Would you please show us the same lecture with real audio sounds from normal people and patients then demonstrate these maneuvers with this amazing explanation? Honestly, it is a godsend. The videos are clear, concise and fun! Dr. Raj is passionate and amazing! Also I watched many others videoes and all are fantastic! I wish I got to know about this earlier, it would have helped me immensely. It has lectures from MCAT to USMLE 2 so all the courses are covered, never again I'll be stuck with not understanding and never again will reading the book become so time-consuming. The bookmatching aplication that it has is genius and also just makes my life much easier. I am using this program for my PANCE and it facilitates my learning to be more effective! Thank you all so much for putting this together! Highly recommended. The most SUPER !!AWESOME!!AMAZING! !STUNNING lecture that I have seen in my whole life as a medical student. DR Carlo Raj has passion and intellectual ability to deliver His lectures in a manner that I have never witnessed before with any other lecturers. combining all the important physio points with path.I wish i could explain how happy I was jumping in my room after this lecture. Amazing! you are always my my hero Dr. Carlo. How I wish one day I could just have a handshake with you. May Allah bless , you and your family AMEEN!!. 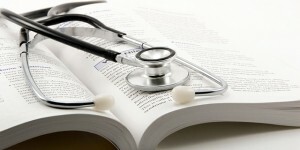 I would recommend this to all the international medical students preparing for the USMLE exam. easy grasp, well laid out and proper delivery for passing the step 2ck exams. Very much appreciate his teaching style, but does stray some at times. Very good. I believe it is the only way to learn, through massive repetition. Thank you for your commitment to medical education. I am sure that many medical professionals and students are benifiting in an enormous way from Lecturio! It is summed up and easy to understand and becoase of this it is a great start to the arritmias study. Maybe good for US students, impossible for euro students. This course is near impossible to take for a European, as our curriculum is structured differently than in the US. Dr. Raj keeps referring to diseases that may have been covered in another video, and sometimes he just refers to them by acronym, not even a full name, so redundant are they. But for a European who hasn't had that part yet, using them as an example to explain a concept means we don't understand the concept at all. Actually at the beginning,it was very hard for me to follow Dr. Raj and it was very distracting, but now I find pathology lectures as the highest yield ones.I should stay alert during the lecture otherwise I'd listen to it again and again to digest the amazing connections among various pathologies. personality of teacher fun yet informative learned a lot. I think that was ten words. I can't get enough of this course. Too good it made the subject very clear to me. Dr. Raj not only defines the concepts very well but I especially love the way he goes into details about what is happening with our patients, giving us real life examples to remember. One of the best I have ever watched! I recommend it to understand better CVS. This guy grows on you. He keeps you engaged. Not many professors can do that! If you don't "get him" I would say you don't "get medicine" either cause he's the real deal. Great resource - great integration! I chose this rating because Dr Raj explains concepts on a level that I can understand and remember, I love the integration with physiology that he uses to explain pathology - absolutely great! Thank you Dr Raj! I use Goljan and Pathoma for pathology and my med school "assigns" reading from Robbins Pathology. All three are great resources for preclinical pathology courses and Goljan and Pathoma are the go-to's for every medical students prep for Step 1. Dr. Raj is not like his mentor Dr. Goljan. 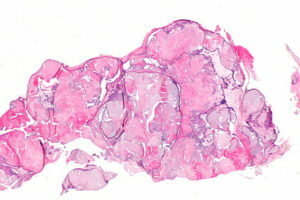 I have yet to see a true pathogenesis lecture or even see histological images of any of the heart diseases (he barely even has gross images of cardio pathology). He spends time covering management/treatment when he should be covering relevant preclinical pathology. I had high hopes from a guy whose mentor is Dr. Goljan. Hopefully his other pathology subjects are better. Awesome class, thank you for all the learning. Hope to see more lectures from this! Dr Raj is the best teacher in the world, thank you sir! The questions were a little easier than what is normally asked. Though the hyperlipidemia lecture was excellent.